Laguna Phuket unveiled its inaugural “Laguna Phuket Food & Music Festival” at a special media conference at XANA Beach Club at Bangtao Beach yesterday (Feb 9). 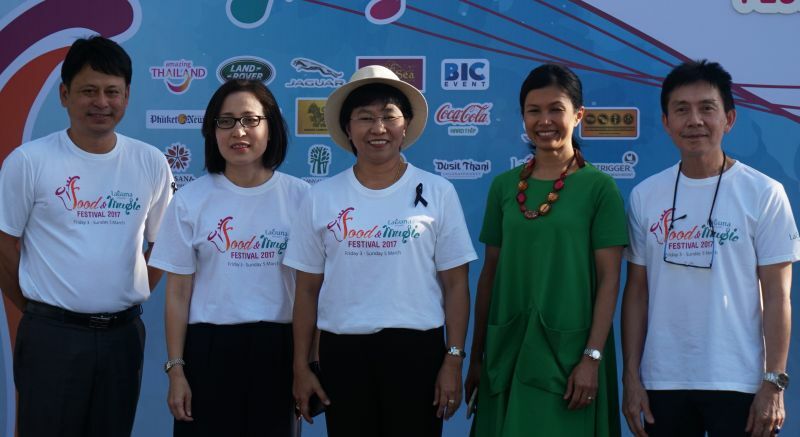 From left: Dr Kosol Taengutai, Phuket City Deputy Mayor and President of the Thai Peranakan Association; Anoma Wongyai, Director of Tourism Authority of Thailand, Phuket Office; Ms Siwaporn Chuasawad, Vice Governor of Phuket; Chef Audra Morrice, Creative Chef behind the food design and creation for the Festival; and David Seet, Senior Assistant Vice President, Laguna Phuket. 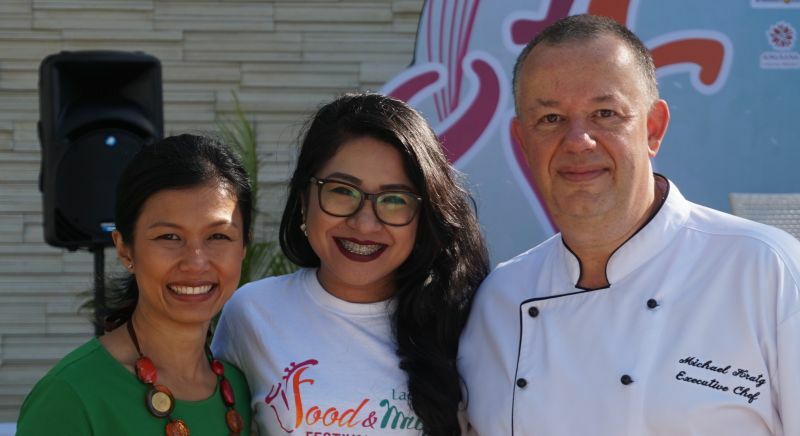 The three-day charity food festival, to be held at Laguna Phuket from Friday through Sunday, March 3-5, will also feature live music, entertainment and appearances by celebrity chefs and stars. The festival is aimed at heightening Phuket’s status as a “City of Gastronomy” conferred by the Unesco, launch and raise funds for the “Children First Fund”, which has been specially set up to support Phuket orphanages, as well as to create yet another lifestyle destination event within Laguna Phuket resort complex in celebration of its 30th anniversary this year. Present for the launch yesterday were Phuket Vice Governor Siwaporn Chuasawat; Phuket City Deputy Mayor Dr Kosol Taengutai; Laguna Phuket Senior Assistant Vice President (SAVP) David Seet; Tourism Authority of Thailand (TAT) Phuket Office Director Anoma Wongyai; and Chef Audra Morrice, Creative Chef behind the food design and creation for the Festival. “Phuket Province looks forward to welcoming visitors from Thailand and around the world to the festival and many other events on the island. 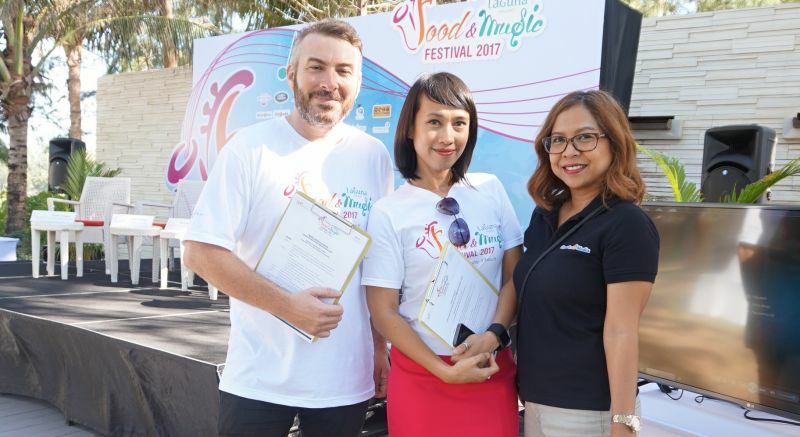 The Laguna Phuket Food & Music Festival is hoped to help present the authentic Phuket food and culture adored by Thais and foreigners,” said Vice Governor Siwaporn. 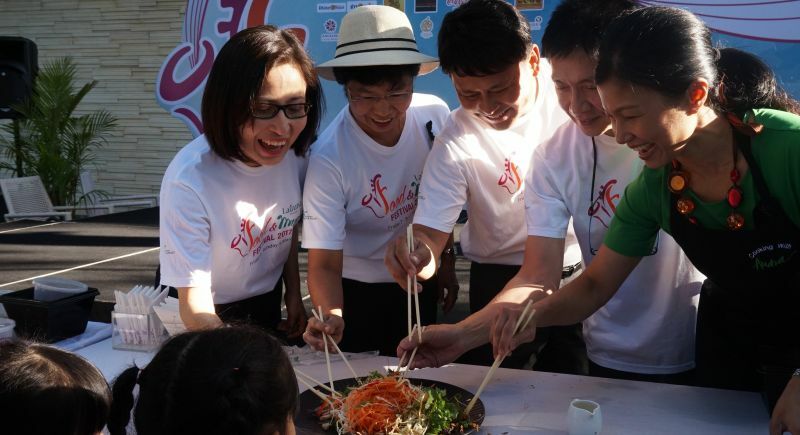 Laguna Phuket SAVP Mr Seet noted that the festival is also planned as a platform to launch and raise funds for “Children First Fund”, with the objective of supporting the nutrition of children in Phuket orphanages. “Special thanks to Phuket Province, City of Phuket Municipality, the Thai Peranakan Association, TAT, Chef Audra, members of the press and all of our festival’s partners and sponsors who help make this first edition possible,” said Mr Seet. 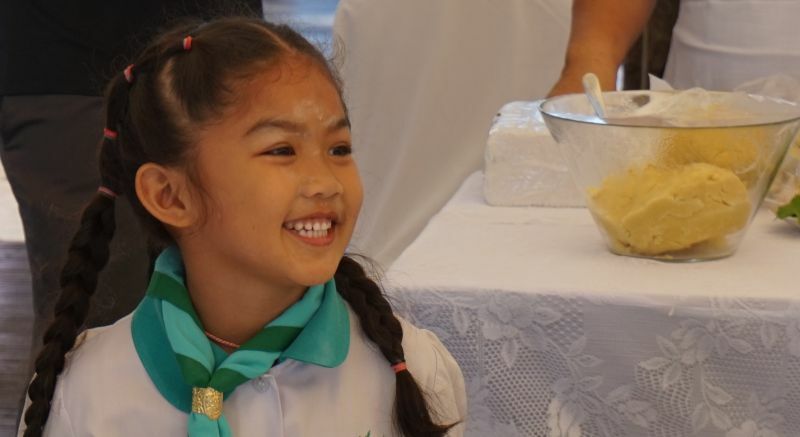 “We really hope that the funds raised from the Festival for Children First Fund will fruitfully support the nutrition of needy children in Phuket orphanages, and ‘Laguna Phuket Food & Music Festival’ will become another permanent installation on Phuket tourism’s calendar,” he concluded.